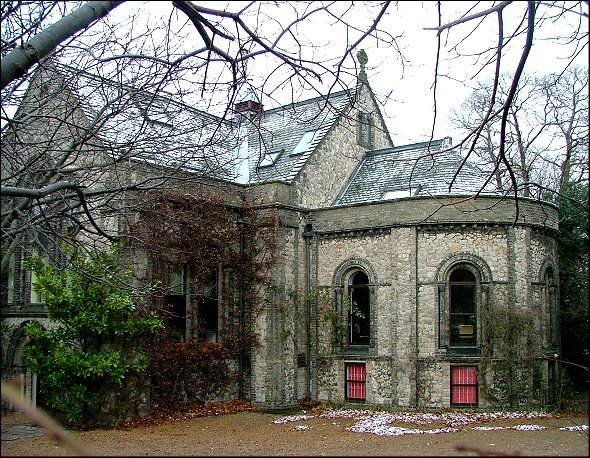 Thorpe has always had a close relationship with Norwich city centre; the Norwich inner suburbs are still quaintly referred to as 'villages', but Thorpe Hamlet has always been part of the urban area, and when Thorpe railway station was opened as the link between the city and London, it became a heavily industrialised district of factories and terraced streets. 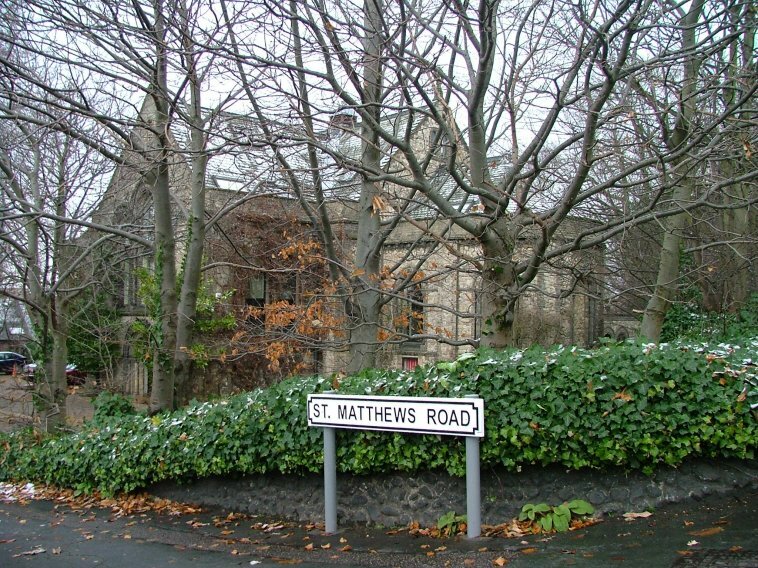 St Matthew was opened in 1851, the work of Diocesan architect John Brown. 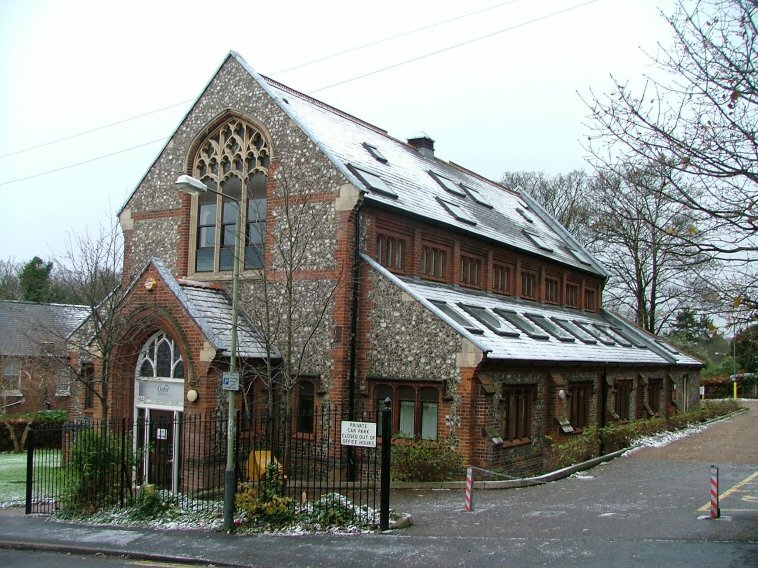 It sits close to the railway station, originally as a chapel of ease in this heavily populated area to the parish church of Thorpe St Andrew a few miles off. It was built in a neo-Norman style, which is usually the kiss of death to 19th century churches, but here it really seems to work; perhaps this is because of the way Brown successfully arranged the windows in tall pairs, and then spaced them for the apse. It is certainly better than his gaunt Perpendicular-style St Mark at Lakenham a mile or so away. 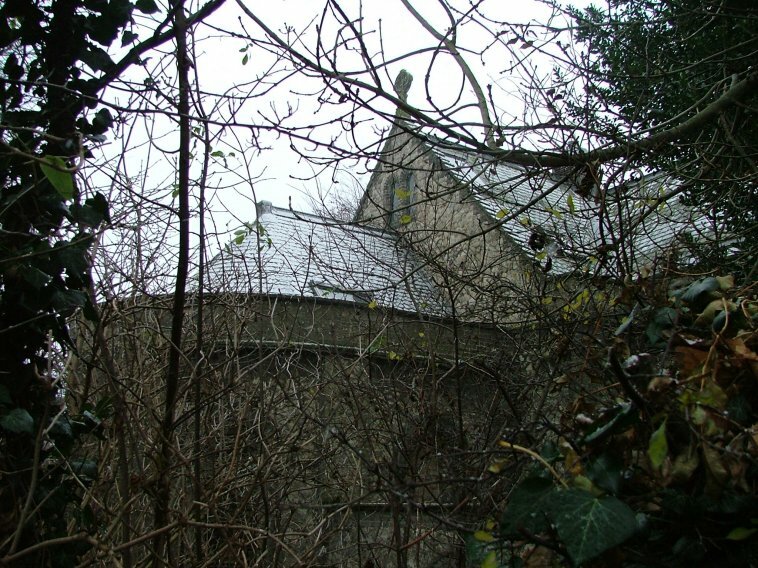 The church appears bigger than it actually is, hemmed in on a small site between St Matthew's Road and Rosary Road, and is completely surrounded by trees; it disappears behind them unless you come here in deepest winter. The main entrance is through the south transept. 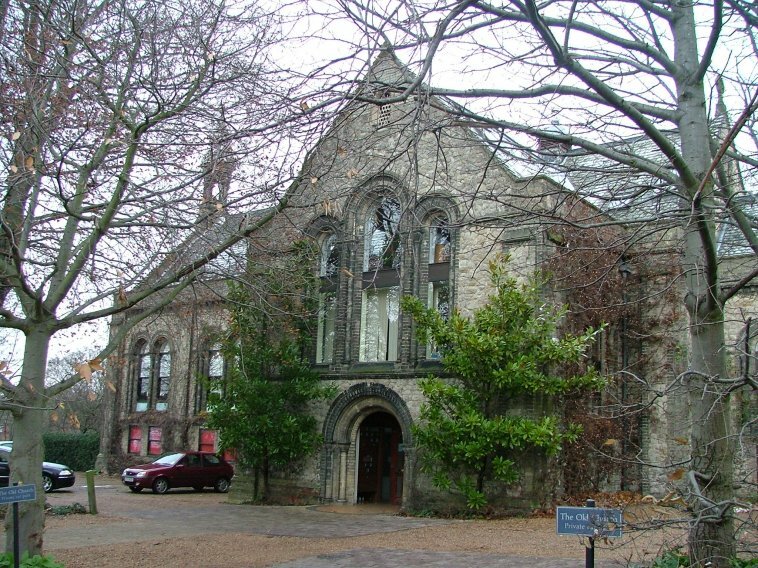 Declared redundant as a result of the Brooke Report (not least because the Cathedral and St Helen are just a few minutes walk on the other side of the bridge), permission for its demolition was granted before it was rescued and converted into offices as the result of an award-winning scheme by the Peter Codling Partnership. 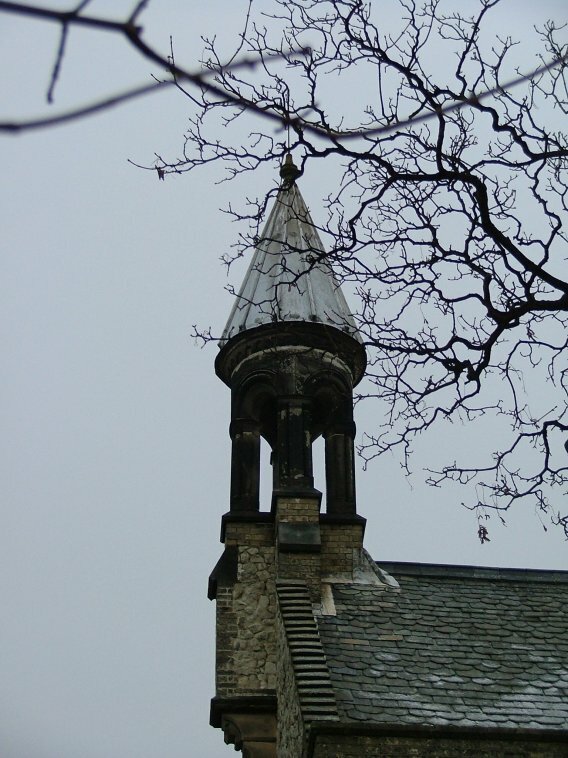 The interior has been split into two levels, and the church is a great adornment to its location - its demolition would have been a grievous loss. There is a new St Matthew, further into the heart of the parish, and it will be featured on the site soon. 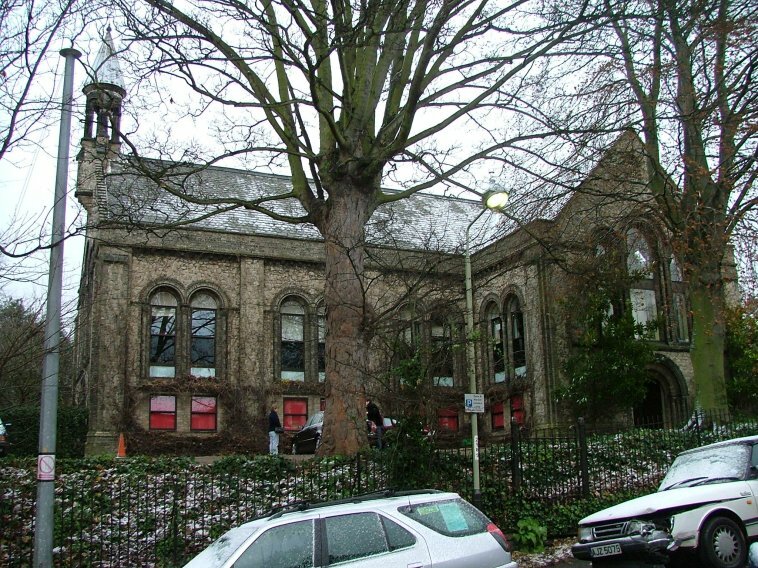 The building immediately to the west (picture below) was a church hall. To the east, the terraced houses screen the site of the Nest, Norwich City's football ground until the 1930s, set in a former quarry with a sixty foot cliff behind one of the goals, and fabled by the daughters of memory as one of the most unusual and striking professional grounds that England has ever known.